The World Anti-Doping Agency (WADA) provides for a range of information and interactive education possibilities. FINA Doping Control Rules are compiled in accordance with the 2015 World Anti-Doping Code. In order to help the athletes understand their anti-doping rights and responsibilities, WADA has published an Athlete Reference Guide to the 2015 World Anti-Doping Code. This guide provides an explanation of athletes’ roles and responsibilities, details of what constitutes an anti-doping rule violation, information on the Prohibited List and supplements, and details on matters ranging from the ‘Whereabouts’ rule to Therapeutic Use Exemptions (TUEs), amongst other topics. Parents play a key role in forming athletes’ attitudes to doping and athletes often turn to them for advice. Topics such as healthy sport cultures, nutrition, the risks of supplements, and doping risk factors are outlined, and links to websites where parents can find further useful information are suggested. FINA is pleased to present the World Anti-Doping Agency's (WADA) Anti-Doping e-Learning platform (ADeL). 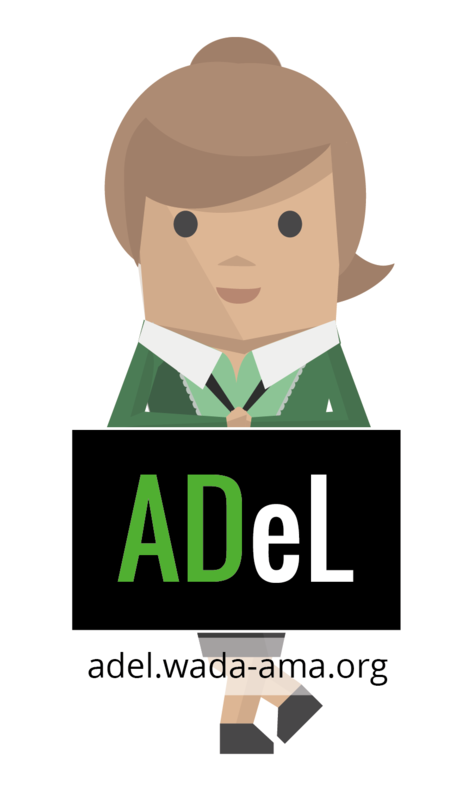 ADeL offers access to all topics related to clean sport and anti-doping. It offers courses for athletes, coaches, doctors and anyone interested in learning more about anti-doping and protecting the values of clean sport.